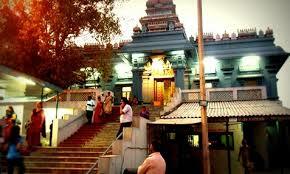 Here is some Information about Uttara Swami Malai Temple in Delhi New Delhi India. Uttara Swami Malai Temple is located at sector-07, R.K.Puram, New Delhi.The temple was built in 1973 and built by Mahakumbhabhishekam.The temple is dedicated to Lord Swaminath who is generally referred to as Lord Murugan.UttaraSwami temple is also known as Malai temple. This temple is one of the most prominent temples of Delhi.The temple complex of Sree Uttara Swami Malai, reverentially named as “Malai Mandir” a harmoniously blended Tamil World “Malai” with the Hindi word “Mandir” by the people of Delhi, with Sree Swaminatha Swami as the Presiding Deity, has been attracting an increasing number of people of all classes of people from India and abroad year after year and has become an important landmark of Delhi. One of the slogans of Lord Swaminath is inscribed on a sign board outside the main temple complex in tamil which means “Whose afraid I'm there.” The malai temple is built using granite stone. The temple complex is built in accordance with the Chola style. The architecture of the temple reflects the designs of South India. 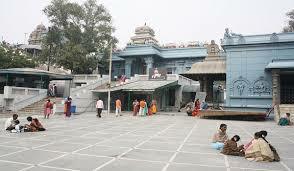 All the main idols of the temple are made of black granite stone. Just after entering into the temple, on the left side one can find the idols of Lord Karpaga Vigner, Goddess Meenakshi, and Shri Sudreshwar who were elder brother, mother and father of Lord Swaminath. 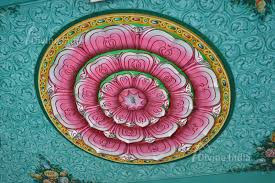 All the walls and roof of the temple are very beautifully decorated with wonderful art work. 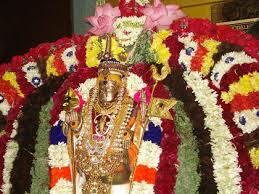 The idol of Meenakshi devi is very beautiful and wonderful. 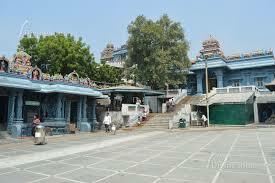 There is a temple of Navgraha on the right side of the temple of parents of Lord Swaminath. The Navgraha temple has the very beautiful idols of all the nine hindu graha and Lord Shani. There is also a hall after a climbing a few staircase in the temple. The hall is magnificent and is named as Adi Swami hall. 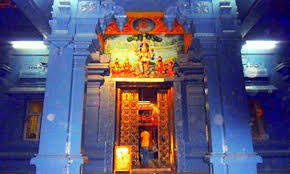 There is also an idol of Nag Devta on the right side of left staircase.The front staircase leads to the temple of Lord Swaminath, which is also the main temple of the complex. The walls of the temple are decorated with the paintings of various deities. The pillars of the temple have beautiful and wonderful designs of the south India. There are separate queues for males(left) and females(right) for the worship which is applicable everywhere in the temple.There is also a place on the right side where cultural programmes are organised from time to time. By Road : There are many public and private vehecals available to reach Uttara Swami Malai Temple in New Delhi. By Metro : The Nearest metro station is Dhaula Kuan, Aiims Metro Station and Green Park Metro Station Metro Station. Malai Temple is one of the best Temple in Delhi. Nearest Metro Station is Aiims Metro Station and Green Park Metro Station. You can also reach by DTC bus. The Distance From Aiims Metro Station to Malai Temple is 5.8 Kilometre.